The human resources department can usually explain your options. Your ability to invest your pension from a previous job is directly related to the type of pension or retirement plan you received. Traditional pensions have limited liquidity, so leaving the job could mean leaving your money behind for a long time. Hybrid cash-balance plans may let you take your money out, while a defined-contribution pension alternative like a 401(k) plan allows you to move all of the money that you're entitled to into a similar investment vehicle. Just because you or your employer put money in your pension doesn't mean the money is yours. Employers can define a schedule, called a vesting schedule, for when you become entitled to your money. For instance, if it takes five years for your pension to vest, and you leave the company after four years, you won't get anything. The same rules can apply to employer matching funds for a defined-contribution plan. If you have a 401(k) plan with a three-year vesting period and you leave after two years, you'll get the money you put in, but your employer can retain the matching funds. If you leave a job with a traditional pension and you are vested in your pension, your options may depend on how your former company's pension is structured. Many defined benefit traditional pensions aren't portable, which means the money stays with the company. When you retire, you'll be able to apply for a pension benefit that comes as a monthly payment or as a lump sum. It's also possible that you will be given the option of taking a lump sum when you leave that you can either roll over or take as taxable cash. 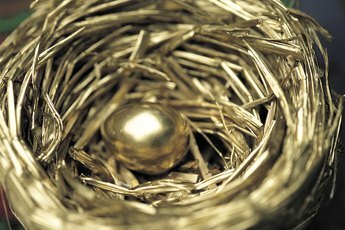 Some companies that offer pensions use a special type of plan called a cash-balance plan. In a cash-balance plan, your company invests your money for you and you receive a federal guarantee, just like with a traditional pension. However, your benefits are tied to the amount of money represented by your account, rather than to a fixed amount of income. When you leave a job with a cash balance plan, you get to take your plan's vested balance with you as a lump sum and reinvest it yourself. If you're eligible to receive money from your pension when you leave, you will typically have a few choices. You can take the money as cash. If you do this, your employer will typically withhold taxes from the check, and you will also have to pay taxes on it. Reinvesting the money in a rollover IRA or in a 401(k) will save you from having to pay taxes, although you will have to add back in the money that is automatically withheld. If you plan to reinvest the money for your retirement, the easiest way is usually to have the lump sum from your pension sent directly to the company that will hold your new account. That way, you shouldn't have any tax liability and no money will need to be withheld. CNN Money: Ultimate Guide to Retirement -- What If I Leave My Company Before I Retire? CNN Money: Ultimate Guide to Retirement -- What Is a Cash Balance Plan? 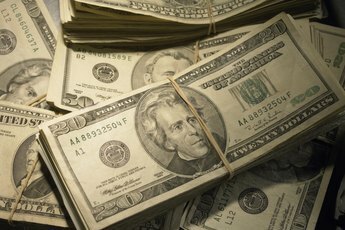 Can Deferred Compensation Be Rolled Into a 401(k)? 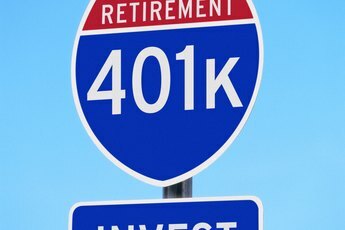 Can I Convert 401(k) to IRA Without Leaving Job? What Is a Frozen Pension Plan? Are State Retirement Plans Considered Pension Plans? Can You Get Money From Your Retirement Pension Plan if You Are Terminated? Can I Put Pension Money Into a Roth IRA? 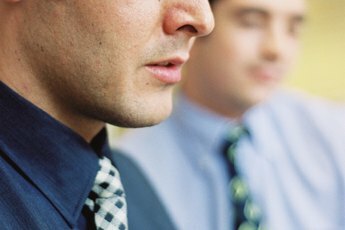 Do I Get My Pension From an Employer After I Resign? What Is a Tax-Deferred Pension Plan?